CALIFORNIA | ZERMATT FIRE | NEW! 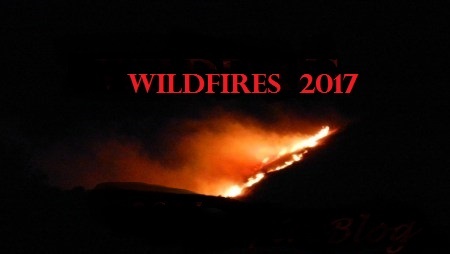 Incident Summary – A fire is burning on Zermatt Drive and Pacific Crest Drive in Wrightwood, California, that started from an unknown cause on Saturday, June 17, 2017. The vegetation fire is moving fast and has scorched 10-15 acres of land so far. Resources – The Santa Bernardino County FD is assisting the Angeles NF along with CAL Fire BDU with fire suppression and containment. Additional resources and equipment are on order. Evacuations – Mandatory evacuations are in effect for Pacific Crest Drive between Zermatt & Lone Pine. ← UTAH | BRIAN HEAD FIRE | NEW!